The mission of the Matthews Human Services Council is to enhance the quality of life for the people living in the Matthews area by collaborating and being the driving force with local agencies, organizations and institutions to help resolve community needs. Photos throughout our website reflect how Matthews area non-profits are working to better individual lives and improve our community as a whole. Come to a meeting, send an email for more information, or mail dues to our P.O. Box. MHSC meets the fourth Tuesday of each month at the Levine Senior Center. Membership dues are $25 for one year. Open to non-profit organizations in the Matthews, NC area. 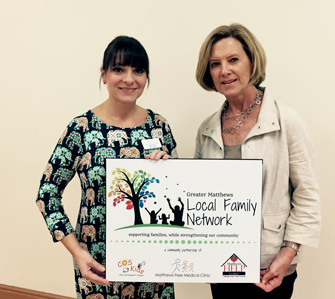 The Matthews Human Services Council extends a warm invitation to area non-profit organizations. View or print letter. 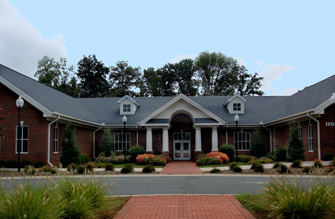 Time: 12:00 noon - 1 p.m.
MHSC meetings are open to Matthews area non-profit organizations. Guests welcome. Are you looking for help in Matthews? Our member organizations may be able to help. Our member organizations provide a wide range of assistance to those in need in the Matthews, NC area. Services include, but not limited to, helping with basic needs such as food, clothing, and shelter. Other services include assistance and programs for vets, single parents, adult day care, youth programs and awards, Christian adoption, Habitat homes, hospice services, senior citizen activities and programs, medical clinic services, family support services, foster care, vision and hearing assistance referrals, Christian library, senior adult classes, senior fitness, Christian resources and children's programs, Christian afterschool and day care programs, child safety programs. Each organization provides guidelines for criteria necessary to be eligible for the services offered by their respective organization. Please contact the individual member organization for specific details. For an overview of our member organizations and the areas of service they provide, please see our membership page. You may contact us if you need further assistance. Many volunteer opportunities exist for any individual or group wishing to provide community service in the Matthews, NC area. Our member organizations provide opportunities to serve with hands on projects and/or with fundraising opportunities within a group to raise funds for other non-profit organizations. 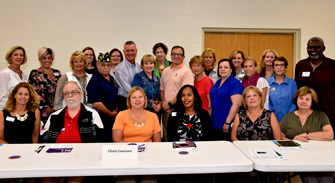 Learn more about the members of the Matthews Human Services Council by checking our member page and connecting to member organization websites for more details. Greater Matthews Family Network is a collaboration of three services: Matthews Free Medical Clinic, Matthews Help Center & COS Kids. Each offer specific needs to families and they combine/refer services among one another. Check out the Habitat for Humanity Matthews Restore at 2447 E. John St, Matthews, NC 28105. Check out the Matthews Help Center Backporch Treasures Thrift Shop for sales and to donate.